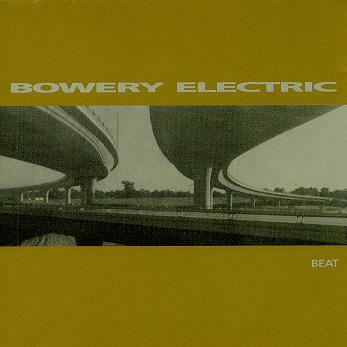 Beat was the Bowery Electric album that was recommended to me by an anonymous commenter last week, and I think it was the first full-length I owned by the band. 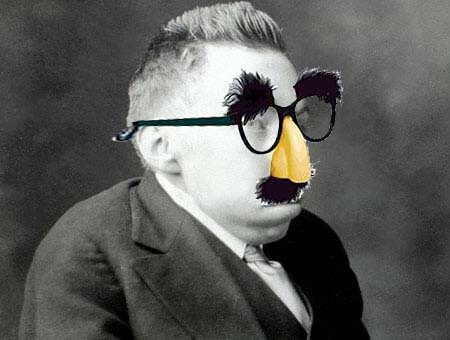 No idea where I got it, but I'm sure it was new. By 1996 Bowery Electric had given up on the idea of a permanent drummer and decided to forge ahead as a duo. Beats on the their new album would be split between loops and a session guy. The result is predictably less rock, more ambient, electronica, post-rock, pick one. The guitars are turned down, the arrangements are even sparer and more repetitive. This is isolation tank music. My buddy G—, incidentally, saw them live around this time and said they sucked. Apparently unable to choose between a temporary drummer or canned beats, they went with both: a live drummer playing along with a drum machine. G— hates drum machines anyway, so I guess he took this as the ultimate insult to live drums. I've never been able to get him to listen to Bowery Electric since, despite my repeated assurances that the first album has a real drummer. Shame, too. I think he'd like it. Beat has basically two killer tracks on it: the title cut and "Fear Of Flying". The rest is all pretty good, if a bit same-y, but those two really stand out. I chose the latter figuring it would be the less well-known, but lo and behold, a quick check over at the Hype Machine shows that "Flying" is still posted periodically, whereas "Beat" is all but forgotten. My bad. I'd switch it up, but I'm at work now and the mp3's already recorded. Maybe I'll post "Beat" as an update tomorrow. "Flying"'s still a killer tune, so it stays. The other track I'm posting is the real treat here: Beat's vinyl-only bonus-track, which takes up all of side four. No kidding. It's basically a seven-or-so-minute drone with little variation. This one took me a few passes to get a decent recording because I kept hearing excessive surface noise on the record. Or at least thinking I did. I bought the album new, and I can't have played this side more than a few times, so how worn could it be? On the other hand, could the vinyl noises be an intentional affectation? I can't check, because the song's only available (to my knowledge) on vinyl. Also, if you listen closely, you can hear a drum beat fade in about halfway through, then fade out a minute later. Believe it or not, the liner notes credit a real drummer on this track. Other than that, it doesn't really change. But still, hey, y'know... bonus! Buy it (scroll down; it's KRANK 014)... on vinyl. From my deck to you: Bowery Electric – "Fear Of Flying" and "Low Density"
NOTE: 100th post on the Shelf! That counts the weekend videos when I've bothered, so I have no idea how many actual tracks I've posted. Nice to know I've been able to stick anything out this long, I suppose. ADDENDUM 22 Feb 2008: Here it is; decide for yourself which is the keeper: Bowery Electric – "Beat"
all true. but my main problem with it was how weak they were. the live drummer added absolutely nothing to the show. it was kind of odd that there even was one. in all honesty they just seemed like a band that had exactly one idea, and were running out of ways to hide that fact. they're a good choice for this, though. you should dig up some more long lost bands like them.